We Offer A Variety Of Fence Services To Crowley, Fort Worth, And The Surrounding Areas! Are you looking for affordable fence contractors in Crowley and Fort Worth, TX and the surrounding areas? If so, you’ve come to the right place! Here at Ware Fencing, we pride ourselves on being the fence contractors Crowley and Fort Worth, TX can trust. We are consistent leaders in our industry, and we are committed to providing above average customer service. We have years of experience, and we utilize only the highest quality of materials, which allows us to create fences that last for years longer than the competition. If you are looking for residential, commercial, or farm fencing, our experts have the skills you’re looking for. We even offer stone services for both fencing and walkways. For every project we take on, our experts work hand in hand with the client to make sure we create the ideal result. From security fences for residential homes or pool safety fences for the neighborhood pool, we have the perfect fence for any occasion. 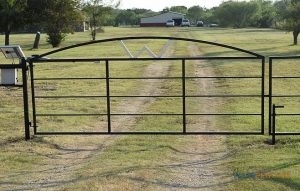 Our office is based out of Crowley, TX, but our fence contractors serve all of Fort Worth and the surrounding areas. We’ve provided a list of the cities we service most frequently. If you live in the area, but don’t see your city listed, please don’t hesitate to give us a call! Our contractors are committed to helping our clients, so we will do whatever we can to serve you best. Call our fence contractors in Crowley and Fort Worth, TX at 817-948-4503 for all of your fence repair, fence installation, and fence replacement needs! Updated on September 20, 2018 at 8:51 am by Ware Fencing.